The New Year brings about the fresh scent of hope. Teams that found themselves in the basement begin the process of determining what direction they want to take, and generally that means the removal of their head coach. Some of these individuals have been coaches for numerous seasons, others were barely cutting their teeth before being released. Like it or not, in the NFL, winning is everything. If you don’t win, and quickly, you can be assured your time will be up. Patience is not a virtue of most owners. The Monday after the season ends finds many coaches receiving phone calls to come in for a ‘meeting’ in which they will be told their services are no longer wanted. 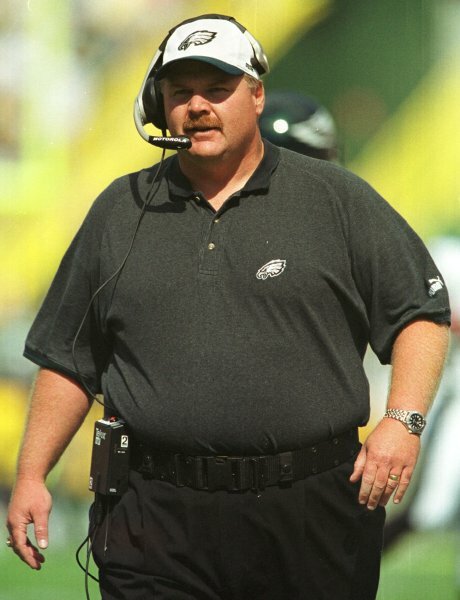 After 14 seasons coaching the Eagles, Andy Reid was fired. Norv Turner, Chan Gaily, Lovie Smith, Andy Reid, Ken Whisenhunt, Pat Shurmur, and Romeo Crennel were all fired on Monday. Now seven NFL teams will be looking for replacements. You read that correctly, seven. This of course does not even bring into play the various GMs and coordinators that were fired. It is house cleaning time and it isn’t even spring. And most likely the list above is going to grow before the draft even takes place (I’m looking at you Jim Schwartz). Some of these individuals will be coaching again and fairly soon. But the question isn’t “Where will these men end up?” the real question should be “Is this is the right strategy for winning?” Is firing a coach always the best decision for the long term success of a team? Yes, sometimes installing a new coach can mean instant success for a team. Do you remember what the 49ers were like before Jim Harbaugh? How about the Colts before the arrival of Chuck Pagano/Bruce Arians? A new coach, the right coach, can make a major difference in the direction of the team. But generally we find that teams install a new coach, the team flounders, the coach gets fired and another one is installed. This process can go on for years. How many head coaches have the Raiders chewed through recently? Success does not seem to be guaranteed even if your offensive/defense schemes got your teams to the Super Bowl in previous seasons (Tom Haley, Steve Spagnola for instance). So then it isn’t always about who the next hot OC or DC may be. It isn’t about who is going to jump from the college ranks into the pros. The rash decisions by GMs and owners concerning who coaches their teams can set their organizations back for years. The question that has to be asked by every team is: Who or what gives us the best chance to create long term stability? 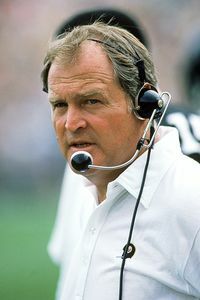 Chuck Noll was the catalyst of the Steelers dynasty in the late 1970s and early 1980s. What do the New England Patriots and Pittsburgh Steelers have in common? These organizations have created an environment of stability that is unrivaled in the NFL (the Packers may join these two over the next 5 seasons).They do not give in to knee jerk reactions regardless of how loud and long the media or their fans may howl. If the team does not live up to expectations they do not fire everyone wearing a coaching hat. Part of this has to do with ownership of course, but it is also because of the men they have put into the head coaching position and how these teams view themselves. They know who they are and what they are trying to achieve. Strong ownership, coaches who have an in depth understanding of the game, and a system that allows them to develop talent even when that talent is taken late in the draft; these are the pillars of teams who are successful year after year. Do you think Tom Brady and Ben Roethlisberger were lucky picks? Do you think Bellichick and Noll/Cowher/Tomlin just fell into the laps of their respective teams? Head coaching is the ace in the hole, however. Think of your favorite team. How many coaches has your team gone through in the last 40 seasons? The Steelers have had only 3 coaches in that time period. The Arizona Cardinals in that same time period? Eighteen different coaches. Bill Bellichick took over as the head coach of the Patriots in 2000. How many coaches have the Detroit Lions gone through since that time period? Seven. With each coaching change come a change in philosophy, an emphasis on different dynamics, and a desire for certain types of players and it can take time before a team finally begins to gel. Now imagine you’re making these major changes every few years. When that happens you get the Chiefs, Jets, Dolphins, Lions, Raiders, etc. As a fan it doesn’t give you much hope when your team begins the rebuilding process again because you know they haven’t been successful at it in the past. Picking the right man to coach your team is as important to a team as a HOF quarterback. So then, who gives the teams who fired their coaches the best chance for long term stability and success? Would you want any of these fired coaches to join your team as head coach?